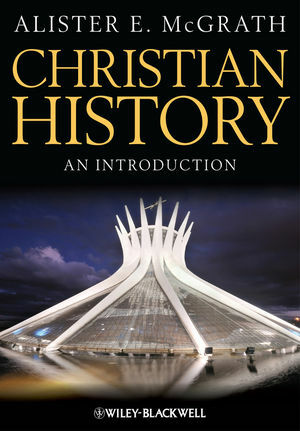 A major new introduction to the global history of Christianity, written by one of the world’s leading theologians and author of numerous bestselling textbooks. Alister E. McGrath is Professor of Theology, Ministry and Education at King’s College London, UK, and head of its Centre for Theology, Religion, and Culture. Prior to his current post, he was Professor of Historical Theology at Oxford University, UK. One of the world’s leading theologians, he is the author of some of the most widely used textbooks on theology, including the bestselling Christian Theology: An Introduction (Wiley-Blackwell, 2010), now in its fifth edition, and Historical Theology, second edition (Wiley-Blackwell, 2012). He is much in demand as a speaker at conferences around the world. Please click on the link to visit the Wiley website for Alister E. McGrath, Professor of Theology, Ministry and Education at King?s College London, UK, and head of its Centre for Theology, Religion, and Culture. This innovative website brings together information about McGrath?s numerous Wiley books, including textbooks and scholarly research. You will also find links to our companion websites for key textbooks, such as Christian History, and a host of additional resources such as podcasts, images, and videos, all designed to enhance your experience of using his books ? whether you are a student or a teacher.